$58 (1989) . 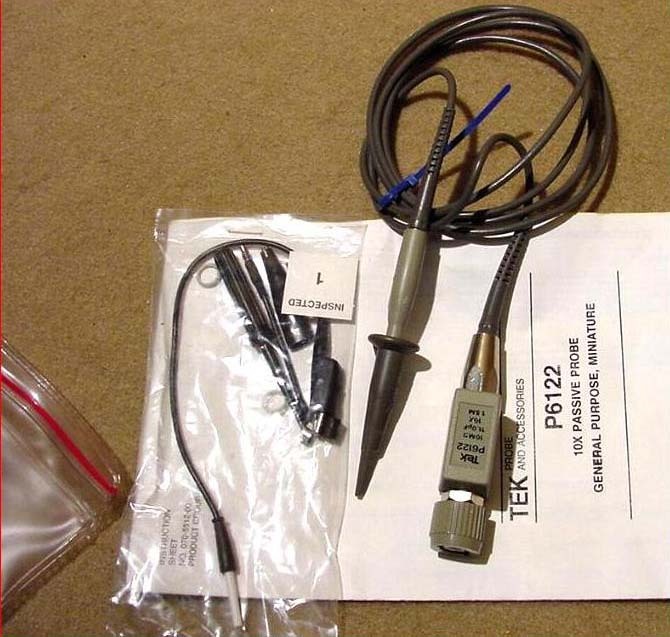 . .
Tektronix Model P6122 passive voltage probe. Modular construction, Bandwidth 100 MHz, 10X attenuation, 1.5 meters long, 10 Megaohm input (11 pF). Instruction manual included. P 6122 miniature probe for Tek 2235 or equivalent scopes. Input capacitance: approximately 10 pF. 1,5 m probe with BNC connector.